The house where the ABC series "The Bachelor" is filmed survived Woolsey Fire which burned down a nearby house on the property. The rose will live on! Despite being in the the dangerous path of the California wildfires, the mansion featured on the popular ABC show "The Bachelor" escaped destruction, USA TODAY has confirmed. 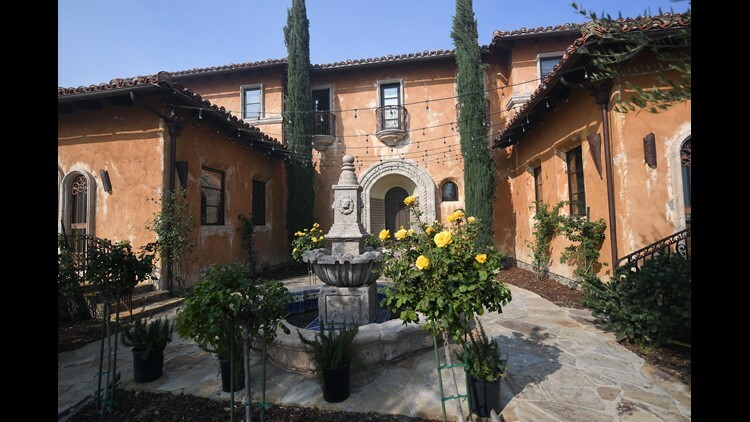 Reporter Chris Woodyard visited the mansion Saturday, tweeting a picture of the house, which has served as the backdrop for "The Bachelor" and "The Bachelorette" since 2007. Each season of the reality show begins with the starting contestants moving into the home, which serves as the set for the first few weeks. The front of the house has a long driveway in which limousines pull up to disgorge contestants anxious to try to make an impression on the star. The house is situated along a major thoroughfare in the blackened mountains. The road is dotted with downed power poles and lines. Police kept a steady watch on the estate to prevent looting. The area is under a strict evacuation order. The house appeared to been spared by a tile roof and a masonry wall that separated it from a home only 100 feet away that burned to the ground. 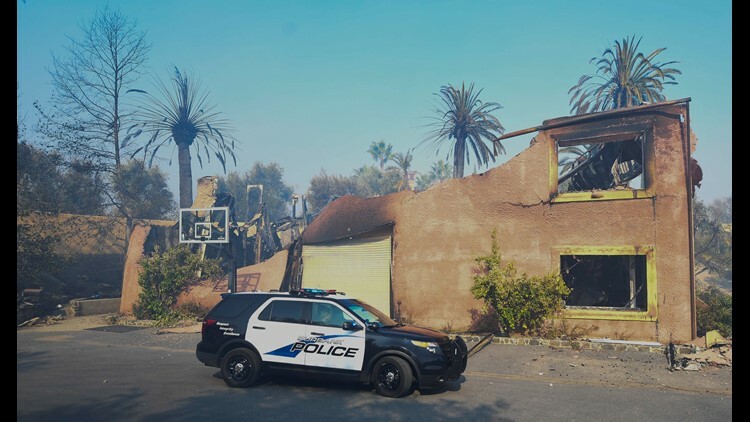 A police cruiser patrols the area where the ABC series "The Bachelor" is filmed on Nov. 11, 2018, where a neighboring house was destroyed. The news of the mansion's survival comes after franchise creator Mike Fleiss tweeted "Pray for Malibu and 'The Bachelor' mansion" Friday with a photo of flames and smoke consuming the area around the regal dwelling. ABC's network reality chief Rob Mills retweeted the photos, adding, "yes #TheBachelor Mansion is in grave danger." The Agoura Hills mansion was in the path of the 14,000-acre Woolsey fire which spread through the area and Malibu Friday, causing residents such as Kim Kardashian and Lady Gaga to flee under mandatory evacuation. Timothy B. Schmit, Don Henley and Steuart Smith of the Eagles perform during SiriusXM presents the Eagles in their first ever concert at the Grand Ole Opry House on Oct/ 29, 2017 in Nashville, Tenn.
Vince Gill performs with the Eagles at the Grand Ole Opry House. Louisa Krause (L) and Carmen Ejogo attend the Build Series to discuss the show 'The Girlfriend Experience' on Oct. 30, 2017 in New York. Kelis performs on the Flog Stage during day 2 of the Camp Flog Gnaw Carnival on Oct. 29, 2017 in Los Angeles. Lil Yachty performs during the Camp Flog Gnaw Carnival. Tori Spelling (L) and Son Beau Dean McDermott (R) attend the Elizabeth Glaser Pediatric AIDS Foundation's 28th Annual "A Time For Heroes" Family Festival at Smashbox Studios on October 29, 2017 in Culver City, Calif.
Kelly Rowland (L) and Jhene Aiko attend Ciroc Kicks Off Halloween with Lenny S. & Kelly Rowland's Costume Couture at Poppy on Oct. 29, 2017 in Los Angeles. (L-R) Grace Miguel, Usher, Tyler Perry and Angie Biyonce attend Lenny S. & Kelly Rowland's Costume Couture event.